European stocks broke a three-day losing streak on Tuesday, building on gains in other markets boosted by signs of a global economic recovery and rising commodity prices. Gains for heavyweight miners boosted European shares after strong commodities prices steadied Asian markets earlier in the session. London copper CMCU3 rose to a three-year high while zinc CMZN3 held close to its highest level in a decade and nickel CMNI3, which is used in stainless steel, logged a fresh annual peak. "Commodity prices are holding firm, particularly base metals," said Sue Trinh, FX strategist at RBC Capital Markets. She cautioned that commodities have mostly firmed "on speculative Chinese investment flow from the wealth management industry, so we question the real demand." The surge in European stocks pushed up the MSCI world equity index .MIWD00000PUS, which tracks shares in 46 countries, which is now up 0.1 percent on the day, its second day of gains after sharp falls last week. 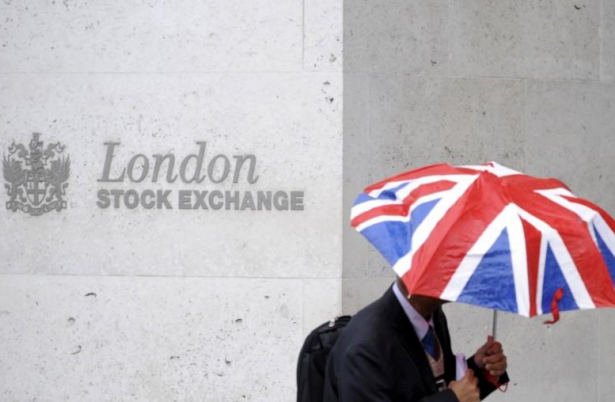 The broad index of European stocks was up 0.4 percent on the day. The performance comes on the back of strong sentiment towards Europe that saw the euro record its biggest one-day gain in a month on Monday. Though the single currency dipped slightly on Tuesday, it is still around the $1.18 mark which analysts believe might prompt policymakers to consider action. A strong euro reduces import prices and therefore keeps inflation lower in the bloc, making it harder for the ECB to withdraw stimulus measures put in place after the debt crises of 2010-2012. The ECB's key target is to boost inflation to "just below 2 percent". Commerzbank analysts believe European Central Bank chief Mario Draghi will not be able to ignore the issue as he prepares to speak at Thursday's conference of central bankers in Jackson Hole, Wyoming. "Even if Draghi does not even want to suggest a verbal intervention against euro strength, he cannot come across as completely carefree regarding the euro either," Commerzbank analyst Esther Reichelt said. "I therefore consider levels beyond (Monday's) high of $1.1910 to be extremely risky ahead of Jackson Hole," she said. The dollar has recently faced selling pressure from tepid U.S. inflation data which have fed into expectations the Federal Reserve will adopt a patient approach to further monetary tightening. Political turmoil in Washington has also hampered the greenback as investors have begun to doubt President Donald Trump's ability to implement much of his aggressive stimulus and tax reform measures. Brent crude futures LCOc1 added 34 cents to $52 per barrel.